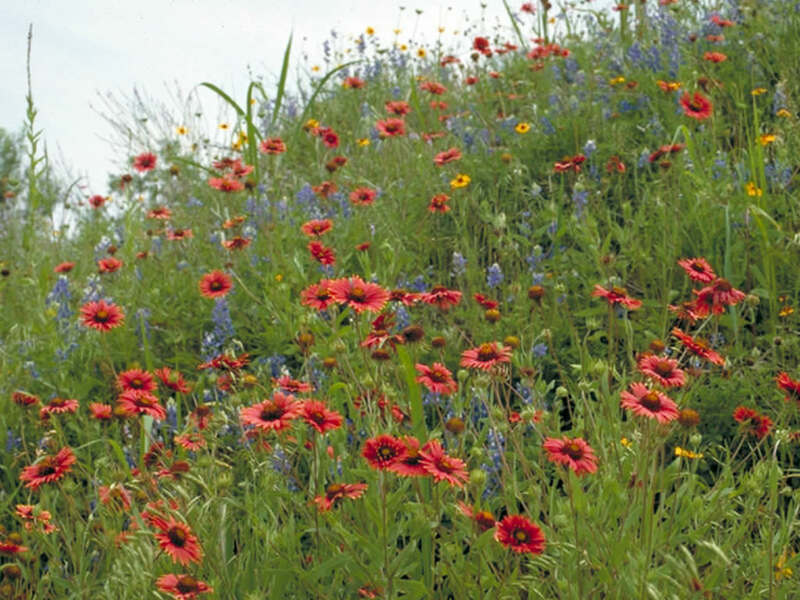 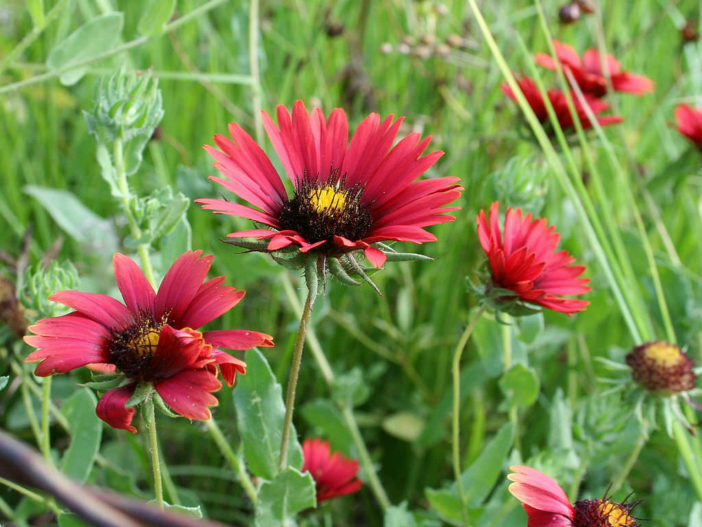 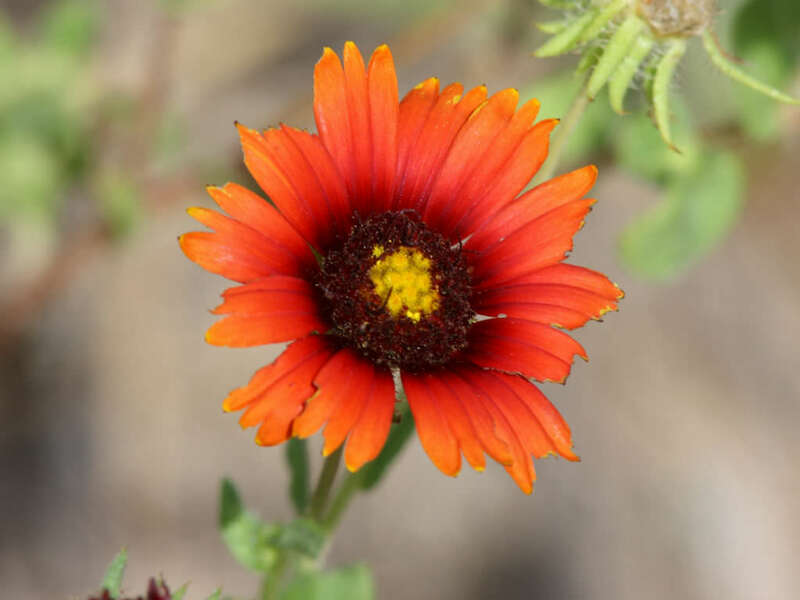 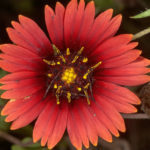 Gaillardia amblyodon is an annual herb up to 18 inches (45 cm) tall, with leafy stems. 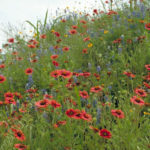 Each flower head is on its own flower stalk up to 6 inches (15 cm) long. 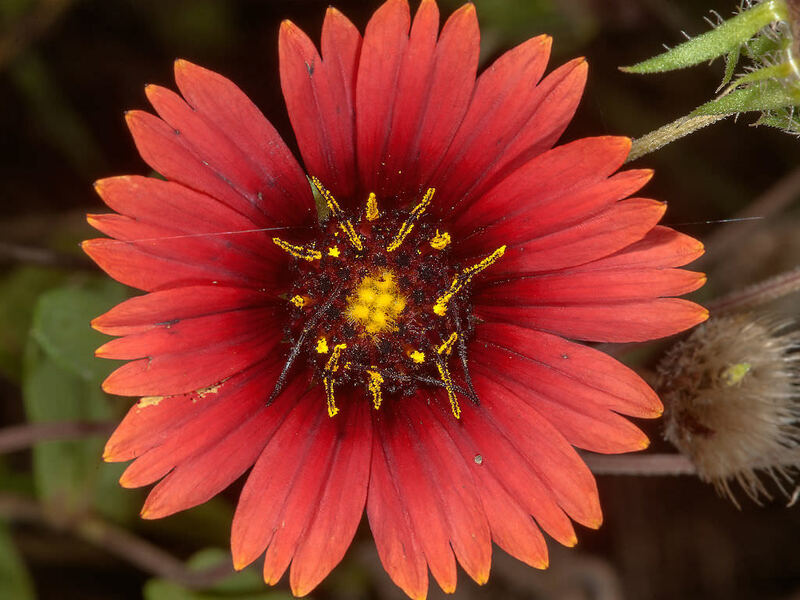 Each head has 8 to 12 red or purple (rarely yellow) ray flowers surrounding 30 to 60 disc flowers, yellow in color with purple tips. 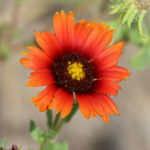 It has been found only in the state of Texas in the south-central United States.